Acting Ukrainian Prime Minister Arseniy Yatsenyuk recently announced his resignation from the government amidst parliamentary infighting in the Rada, supposedly over none of the factions wanting to take the fall for the upcoming suicidal IMF stipulations. (His desire to leave off the hook ahead of the coming economic and social collapse of Ukraine has apparently come into collision with the interests of Western power groups seeking to establish control over the Ukrainian gas trasportation system first – OR). 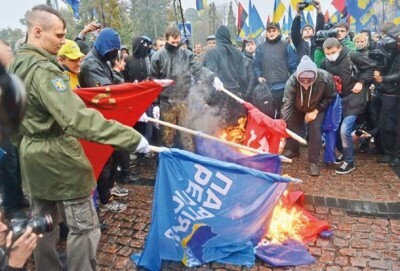 The withdraw of the nationalist party Svoboda and Klitschko’s (German) project Udar continues the chain reaction of institutional collapse that began in late-November with the EuroMaidan Color Revolution. 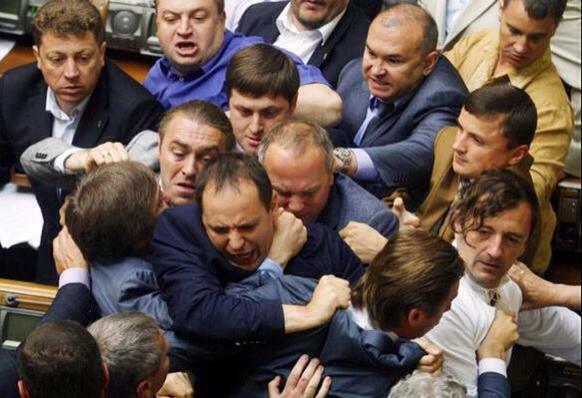 If a new Rada isn’t formed within 30 days, elections will have to take place. It has already been forecasted that this is nothing more than a ploy to solidify Poroshenko’s power base (Udar is a close ally) and expand the reach of the Svoboda nationalists. These risky and Machiavellian calculations will likely have far-reaching implications, continuing to push Ukraine ever further towards full-scale collapse and spreading the black hole of chaos that has begun to emerge in the country.